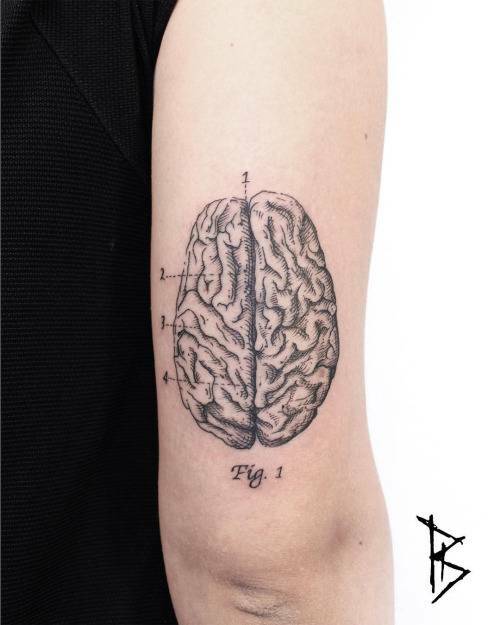 Tattoo styles can range from watercolor to line art geometric designs, but no matter what the latest composition trend is, one subject matter remains timeless: Science! 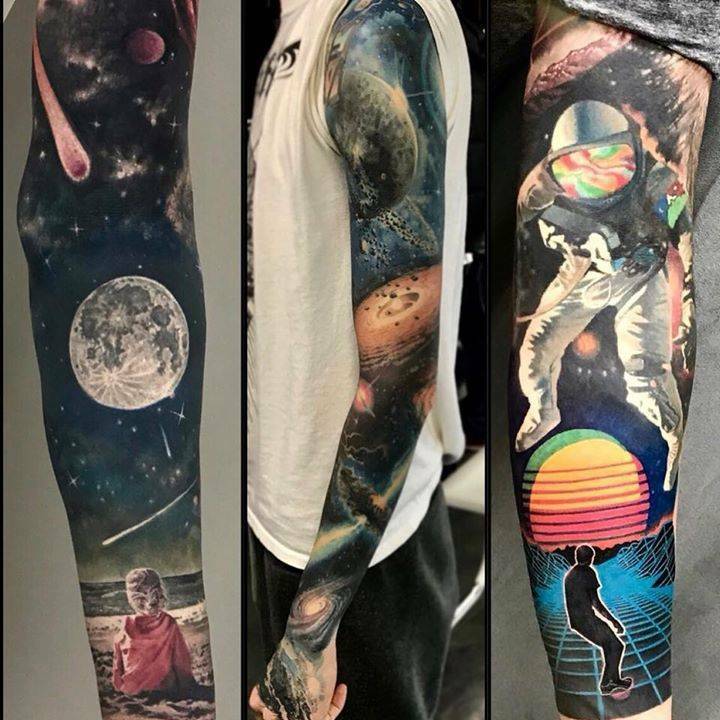 Whether looking to the stars or giving tribute to great scientific minds, stellar tattoo artists are given endless inspiration from the fields of astronomy, math, chemistry, and anatomy. 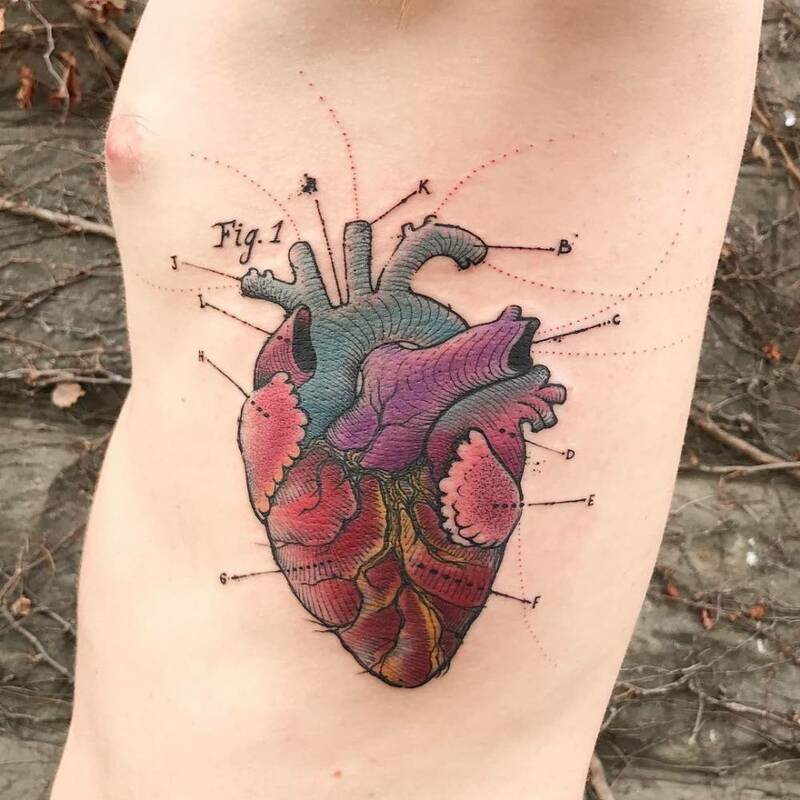 We went to some of Tattoofilter's curated science tattoo gallery page to find the greatest science-inspired tattoos. 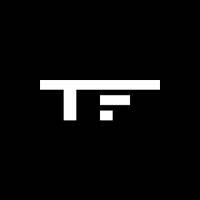 Scroll down to check 'em out. Let's start with the space-related pieces. 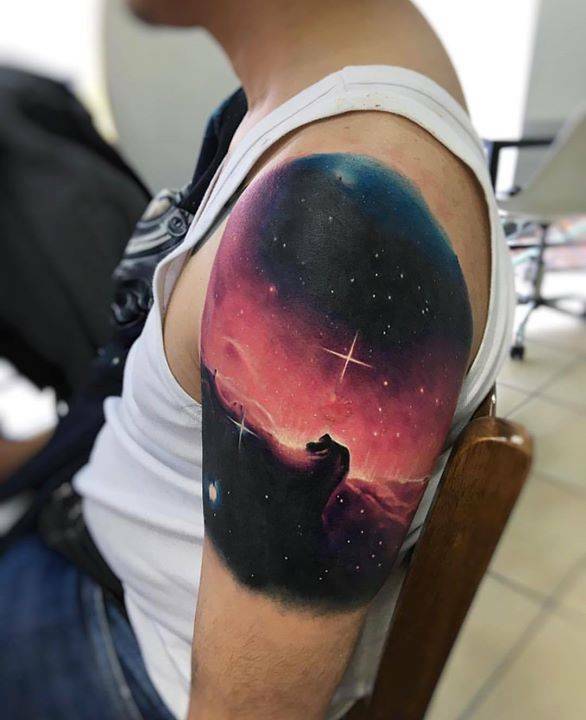 Andrés Acosta knows how to use the colors of the universe. 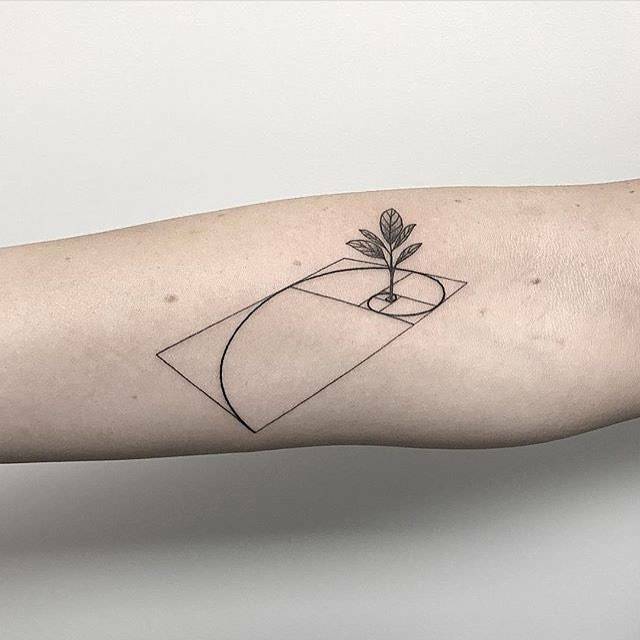 Adrian Bascur is a watercolor tattoo master. 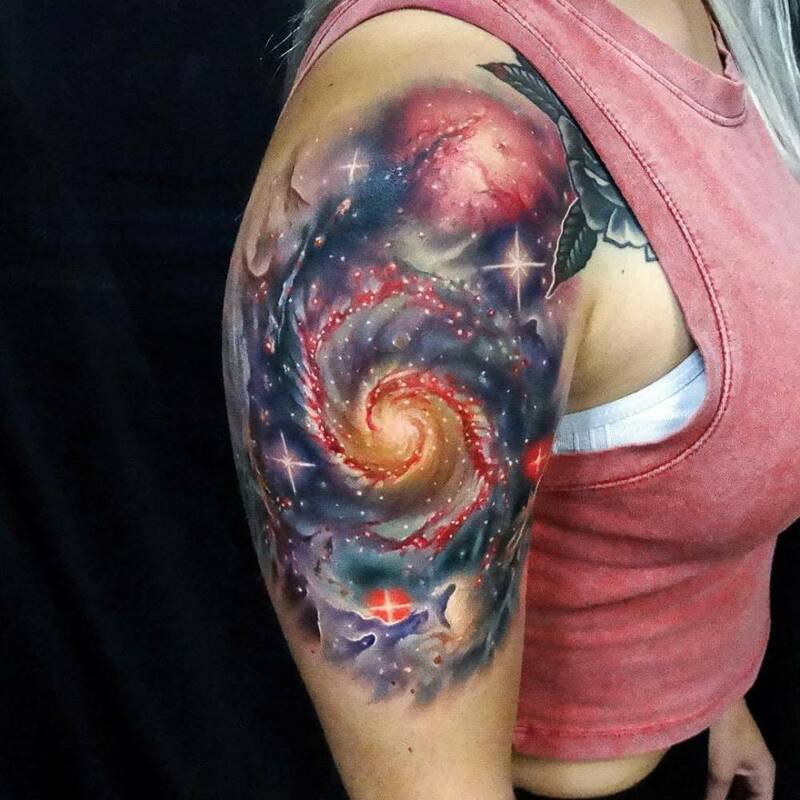 Enjoy the nebula tattoo below. Nick Noonan knows you can't explore space without astronauts. 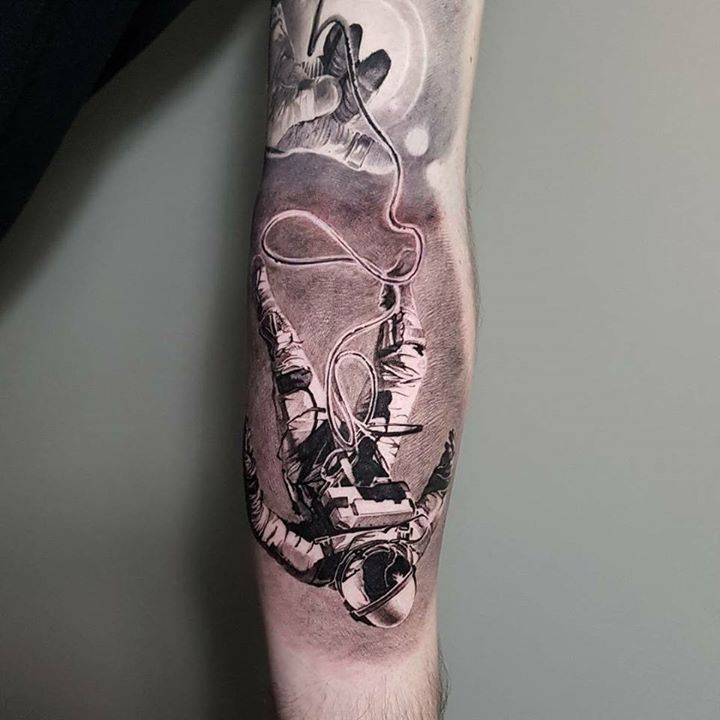 We love this surreal sleeve composition from Dzikson. 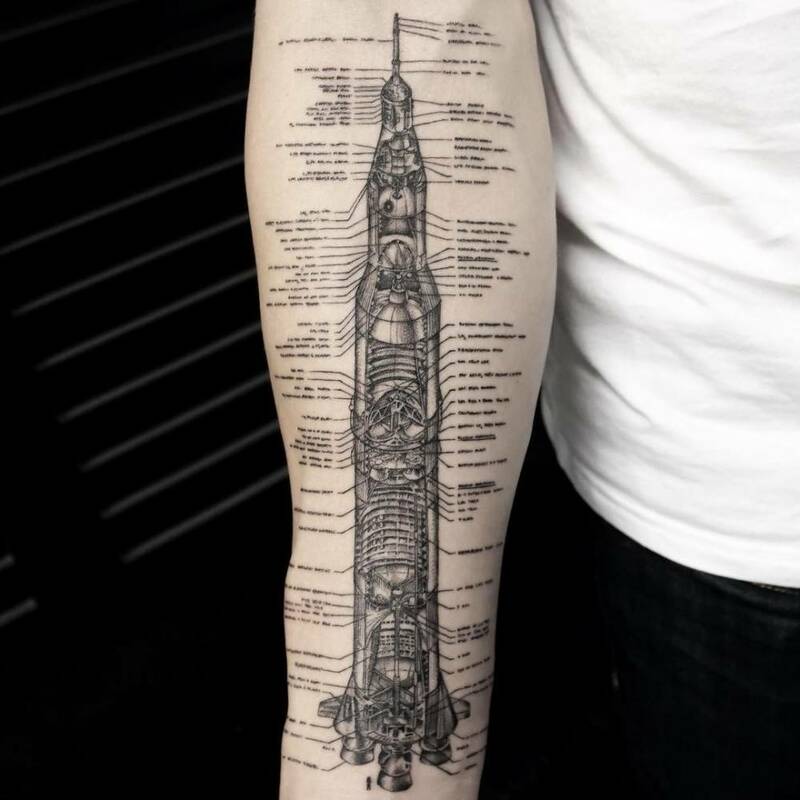 An intricately detailed Saturn V blueprint looks great when done with a single needle. 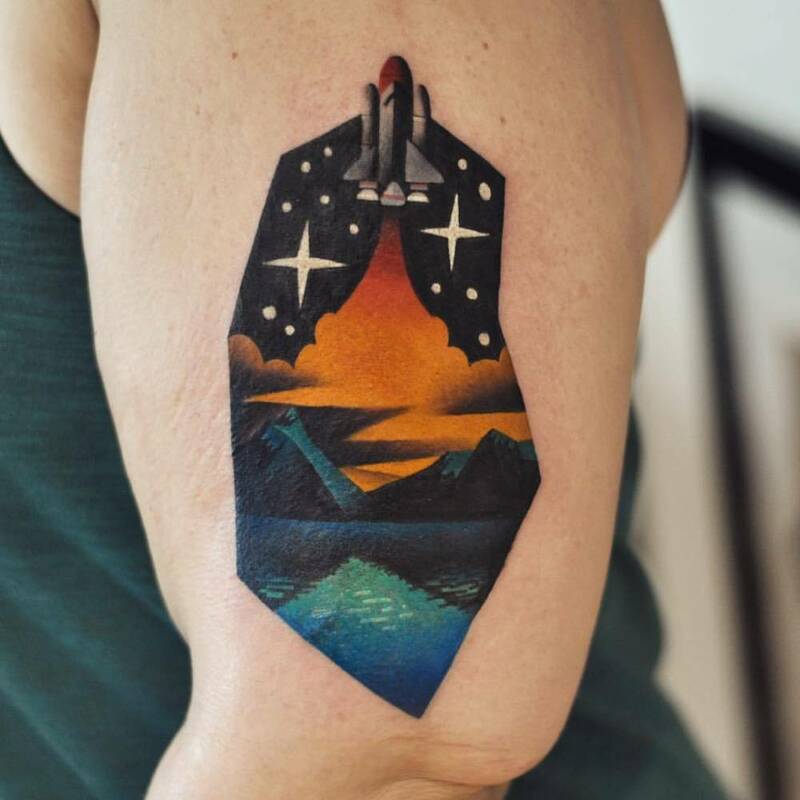 David Coté's combo of dreamy landscapes, watercolor, and the space shuttle is awesomely unique. 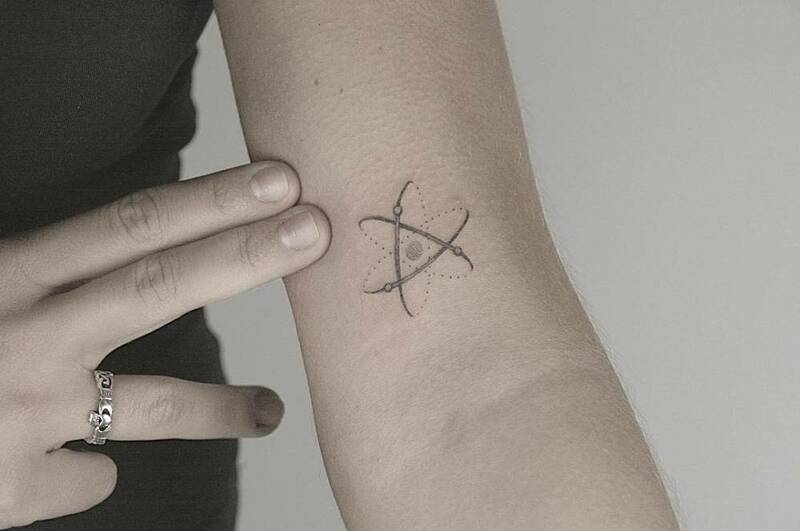 But if you're thinking minimal, Lindsay April's single needle atom tattoo is ideal. This is a pulsar map was done by Christopher Vasquez, another minimalist artist. 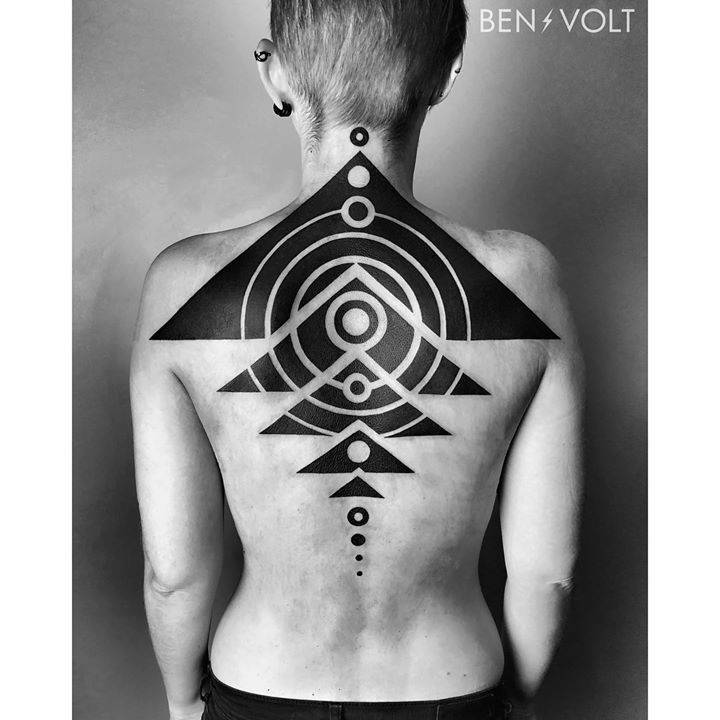 And Ben Volt's take on the solar system is stunning. 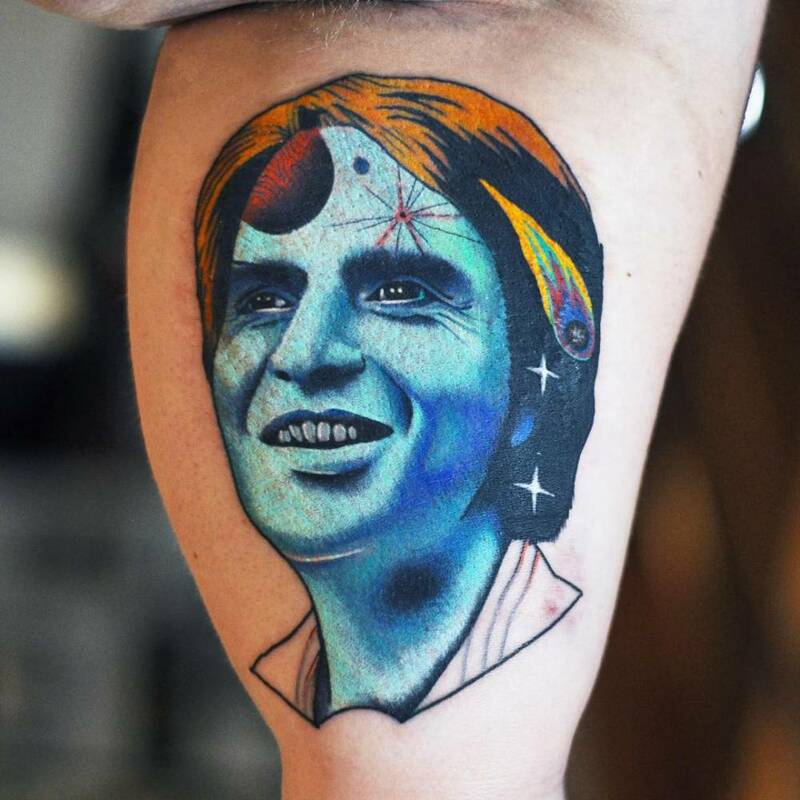 Back to bright and colorful, you can't go wrong with a Carl Sagan portrait. 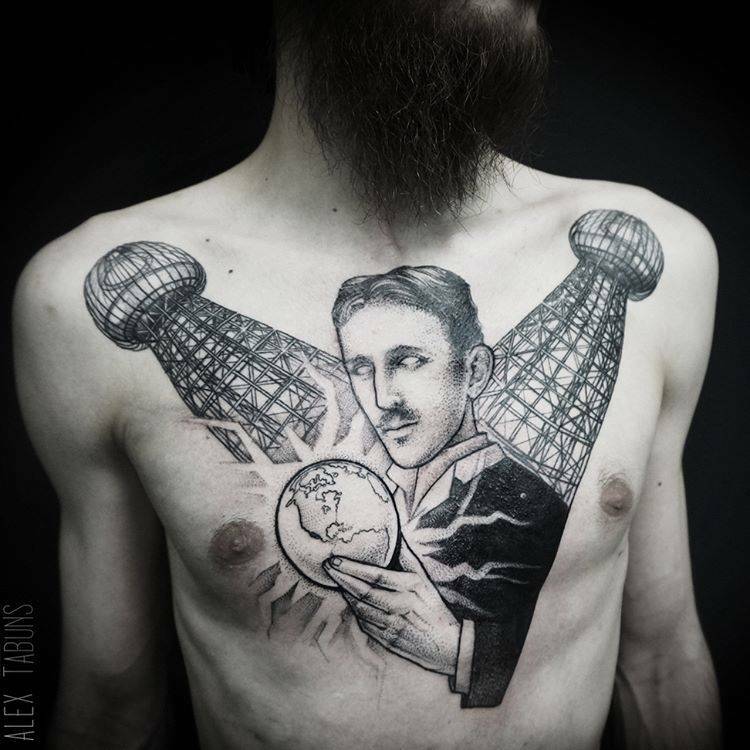 Science fans will recognize Nikola Tesla, and true fans will even go for a creative rendering from Alex Tabuns. 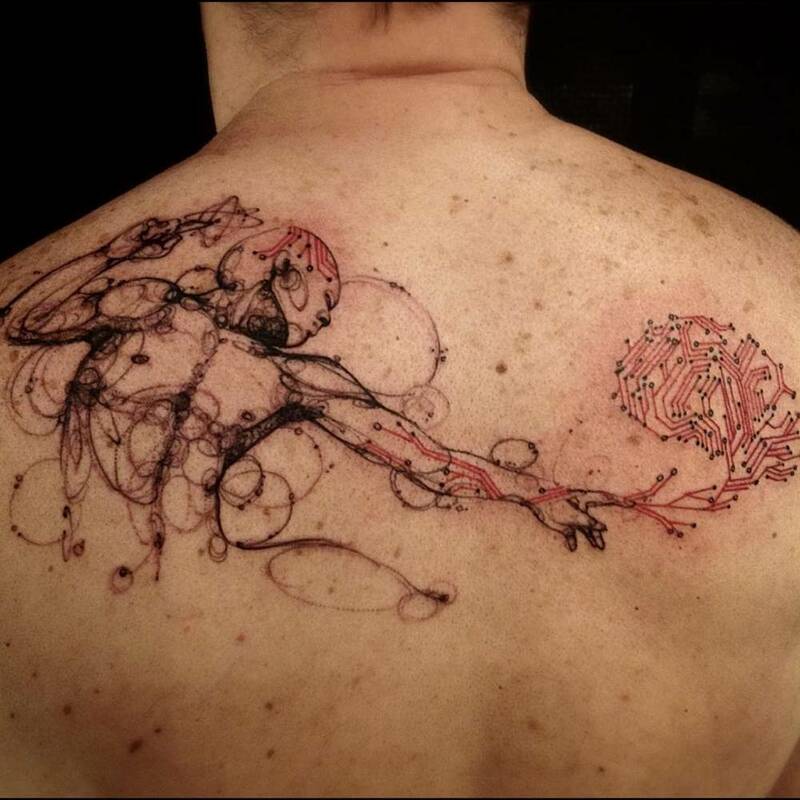 Speaking of geniuses, this single needle piece by Dr. Woo is inspired by Leonardo da Vinci's ornithopter. Making our way into math-inspired work, here's a Golden Spiral by Michele Volpi. 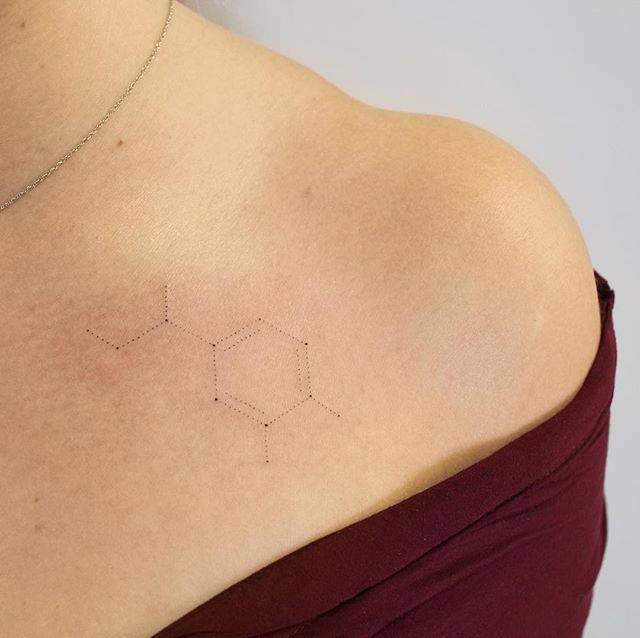 Chemistry nerds will recognize Norepinephrine's chemical structure. Anatomy is a popular inspiration as well. Loïc LeBeuf did this scientific illustration of a brain piece. This anatomical heart scientific illustration by Dino Nemec is simply gorgeous. 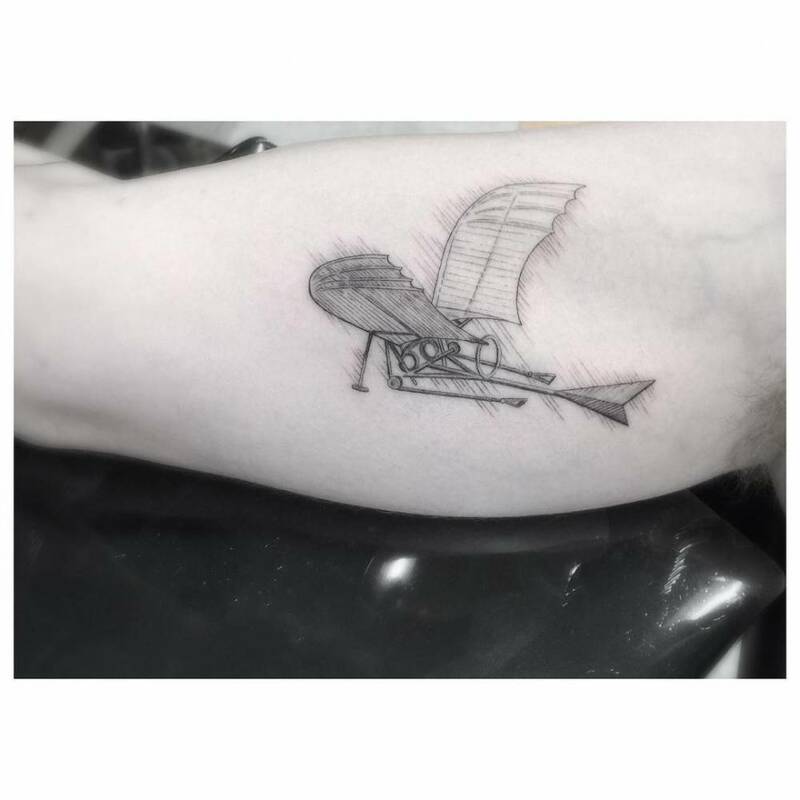 So, although this particular article is about only a few examples of science tattoos, we have many more for you to choose from, and many more tattoos coming your way, just go visit our curated science tattoo gallery!